Re-order printing at Momento Print . 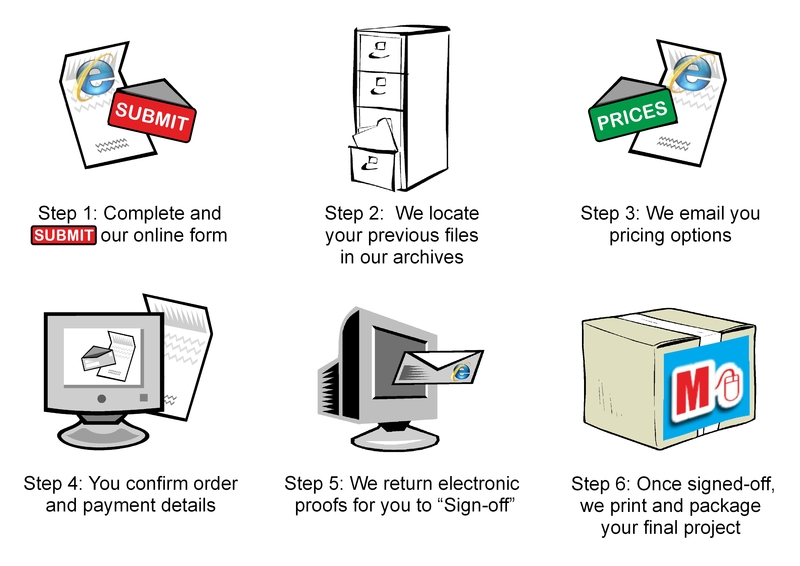 . .
Re-ordering printing of your previously printed work at Momento Print couldn’t be easier. Simply >Click< to our re-order form and complete the on-line re-order box and Submit to send your details to our Archive data-base. You will have received a “Re-order slip” with your previous order, (also often noted on the packaging box lid), quoting an Mxxxxx Reference Number. Just enter this number in the appropriate field in the Re-Order panel. Or, if you have misplaced the Mxxxxx Reference Number, just give us the approximate date and details of your previous order, and we should be able to do the rest. Posted on May 30, 2018, in Cheapest Printing Online, Leaflets Printing, Printed Invitations, Printers in North London, Urgent Business Cards Same Day, Wedding Stationery Printing and tagged Business Cards Same Day, Cheap leaflets printed, Cheapest Printing Online, cheapestprintonline, Ebook design and publishing, Flyers, Folded Brochures, Graphic Design, Leaflets, London Printers, Luxury Matt Laminated Business Cards, Postcards, Printed Invitations, Printers in Crouch End, Printers in North London, Urgent Business Cards, Wedding Stationery. Bookmark the permalink. Leave a comment.